conceived and implemented in 2011 by Lara Bohinc, Sharon Betts and Ann Rogers. Is judging your passion? We have a terrific Breed Standard course to help you advance your familiarity and fundamental understanding of the nuances of the Leonberger plus the Practical Canine Anatomy course which is based on a presentation which was originally developed for the Dog Judges Association of America. Great for beginners and as a wonderful review for the more experienced. You can access all of our online courses here. Are you a pet owner looking for some fun ways to spend a Saturday with your best buddy? How about trying Water Work, or Carting or Therapy Work? For the kids, there is the Leonberger University Kids Section with fun games and puzzles. Yes, you’ll find information and even courses on all of those and more. 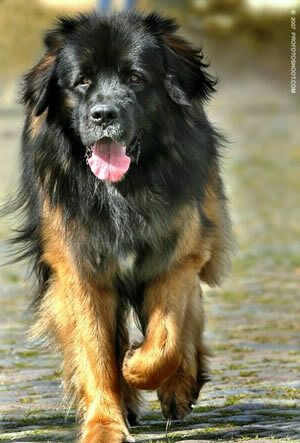 Join us at Leonberger U, the essential educational tool for all Leo-Lovers! To preserve and protect the breed and the past and future legacy of the Leonberger Club of America by providing an engaging learning environment of continuing education programs in all areas of Leonberger interest.